So you want to start an online business, and you already have many great ideas about the look and content of your website? But did you know that the design and content are only one facet of a successful website when aiming for optimal search engine ranking? What many burgeoning online entrepreneurs tend to neglect is the hosting quality of their site. The machinery that propels your site onto the world wide web and keeps it ticking plays a crucial role. Choosing good web hosting is equally important as the look and feel of your website. Features of good hosting include fast page load speed, great uptime (minimal downtime) and swift support should you get stuck. But with such a massive choice of hosting options, how do you know which is the best for you? Two evergreens in the Hosting industry are “Reseller Hosting” and “VPS Hosting”. Let’s have a look at them, what exactly are they, what are the advantages and disadvantages and how do you decide which one is best suited for your online activities. As the name suggests, Reseller Hosting is a type of web hosting which is best suited for a business that will sell off chunks of it mainly in the shape of websites to their customers. In other words, the Owner (Reseller) buys bandwidth and hard disk space from the hosting company and rents out portions to different customers. The Reseller is free to manage his allocated space as he pleases and host several of his websites on it; or he could provide space for other customers, thus generating revenue. Setting up and managing Reseller Hosting does not require much technical knowledge. It often comes with a customizable control panel and a selection of themes. The Reseller keeps control over the customer’s activity and can execute maintenance duties. Nevertheless, the end users are also able to personalise their panel. The price category for Reseller Hosting varies depending on the size and plan. Resellers can choose between Linux and Windows with easy upgrading options, should this be required. Reseller Hosting allows you to manage all of your website requirements using one control panel only: WHM – Web Host Manager, as mentioned above, these websites could be yours or your customers’. VPS Hosting (Virtual Private Server) is a halfway house between Shared Hosting and Dedicated Hosting. In other words, it provides the best of both worlds with regards to hosting services. VPS is like a physical server that is divided into several virtual compartments. Unlike other hosting services, VPS does not share its resources such as CPU, RAM, disk space or the Operating System. These compartments act independently and maintain optimal performance of your Site. You as the owner are in charge and reign over the full root access of your server, even though you are sharing the central server with others. Besides, VPS is provided with a WHM (Web Host Manager) – this lets you create multiple accounts (even for reselling purposes). If you are a web designer/developer, this service can be used for powering the large websites and web apps of your clients. As one server is split and distributed amongst multiple users, each user will control their own resources. VPS Hosting is cost effective and allows for easy scaling and upgrading of their hosting plans. It is ideal for website owners who desire a customizable environment but do not have specialist technical knowledge. With VPS Hosting you are more in control over your server thanks to full root access. You are able to modify name servers, install software, etc. 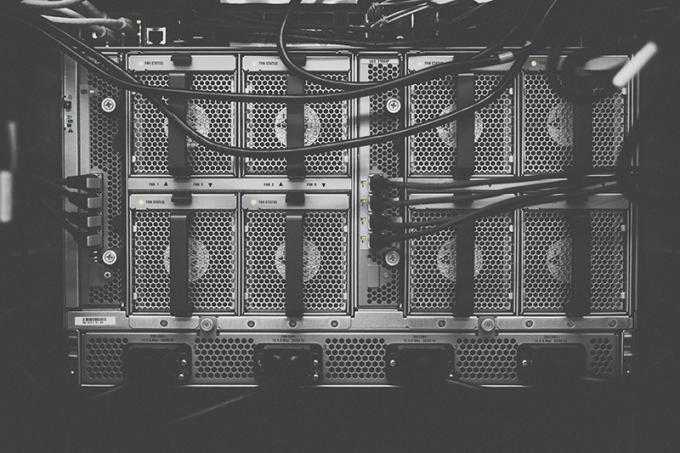 The main difference between Reseller Hosting and VPS Hosting: Which one is for you? The choice of Reseller Hosting vs VPS Hosting depends mostly on the kind of online business you intend to run. If you’re planning to start a business providing websites to customers, then Reseller Hosting would be the optimal choice. If you are a successful web business and noticed that your traffic is going through the roof, stretching the resources of your current hosting package to the limit, then it would make sense to go for VPS Hosting. This is the main difference; Reseller Hosting allows you to run an online business providing hosting service to your clients, while the VPS option lets you run any kind of business and you only need to buy the hosting to manage your websites. Both these hosting services offer benefits to different business strategies and are equally useful. With Hostko, upgrading and migrating is a smooth process, while having peace of mind that excellent support is at hand should you need help. If you are not sure, why not start with a VPS Hosting plan and later migrate to a Reseller Hosting plan if you want to turn your web designing into a professional activity.